Breakfast: We bought a bag of pears last week and they are finally getting soft. 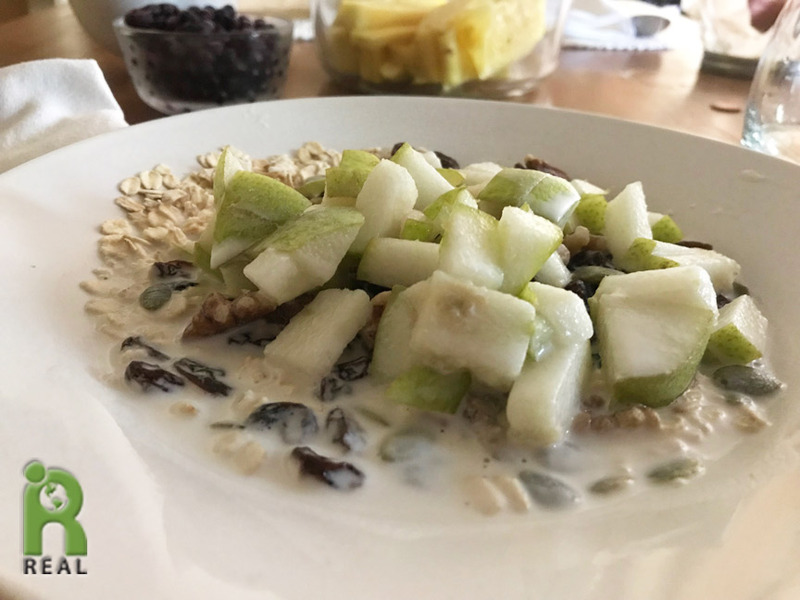 It makes a nice change on the Rolled Oats bowl, along with the usual raisins, walnuts, blueberries and soy milk. Pineapple was served on the side. 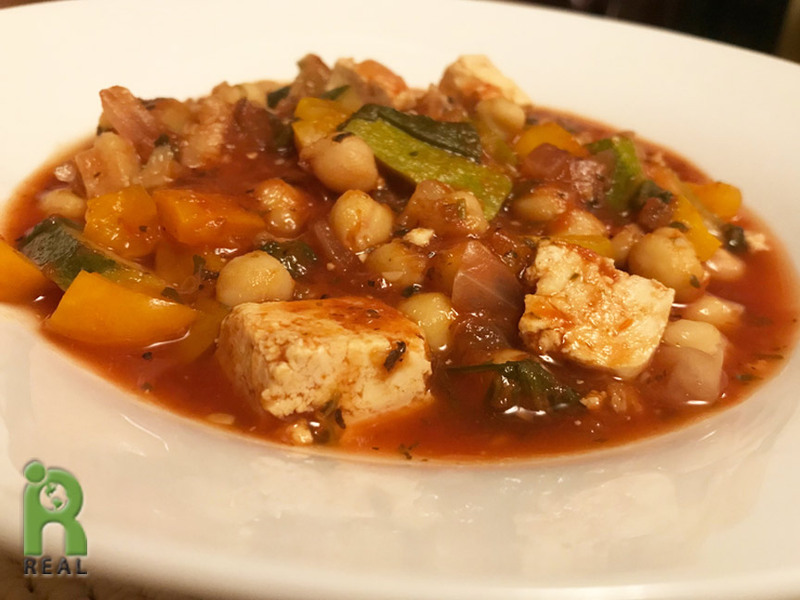 Dinner: The stew that has it all, all of the food we’ve had this week comes together with Zucchini, Marinara, Tempeh, Garbanzo Beans and Bell Peppers. Evening: Late in the evening we finished up the fresh Pineapple.